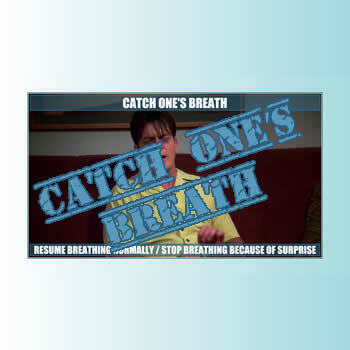 Catch one's breath (Short video) - Learning English is AS EASY AS PIE with Phrases, Idioms, Expressions. The phrase of the day is: "Catch one's breath"
To stop breathing suddenly for a short time because you are surprised. To take time to start to breathe normally again after physical exercise.